The board of wireless module TWE-Lite, temperature & humidity I2C sensor SHT21 dissipates 7.3 uA only on waiting. It undergoes field test now. 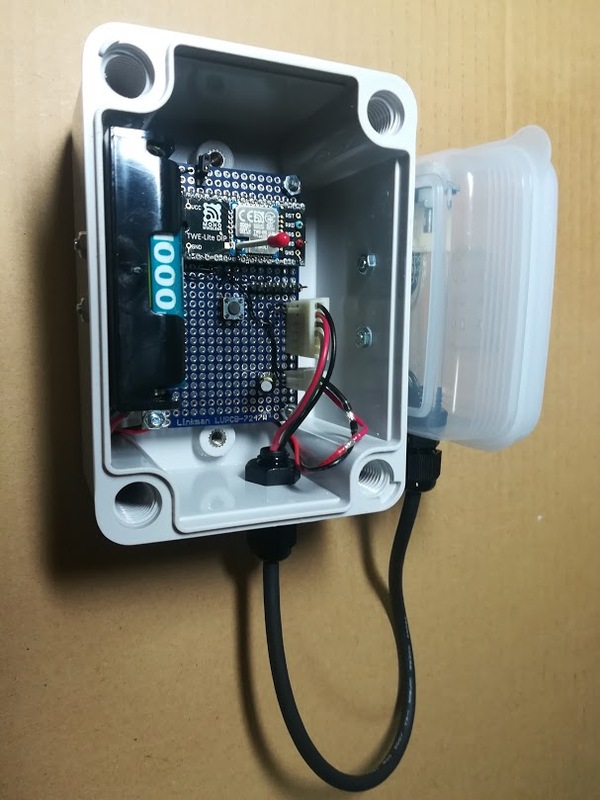 Building wireless temperature & humidity sensor, do field test. It adopts sealed enclosure with fastening screws, as one-coin box seal deteriorates in a few years. 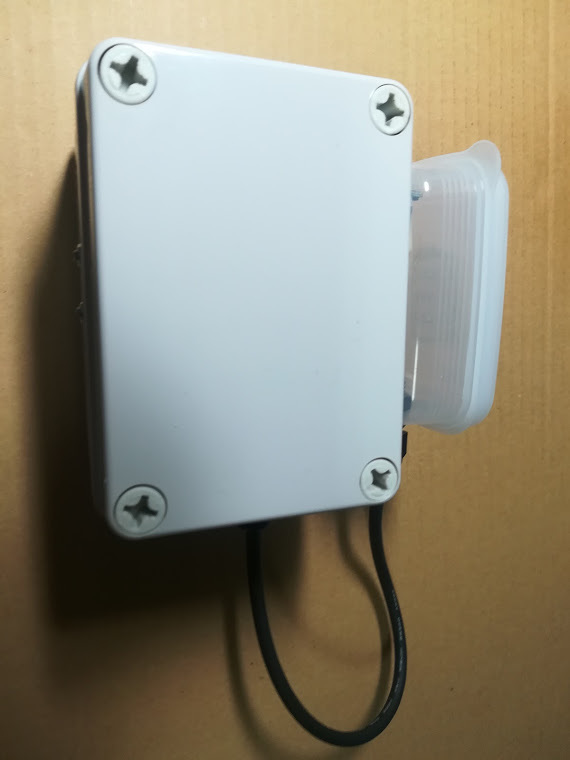 I assembled wireless module TWE-Lite with wire antenna, temperature and humidity sensor on Linkman universal board LUPCB-7247H (Size: 72x47 mm) in the drip proof box as shown in Photo1. I drew the layout not to interfere using CAD JWW. I worked 3 holes on the bottom containning the board, 3 holes for cable and sensor box. Photo2 shows the enclosure. The attached sensor box contains I2C sensor SHT21. Photo 2 shows the device appearance. The top cover closes with rubber seal. The thickness is 2.7 to 2.8 mm by micrometer. It is thicker than old one 1.4 to 1.5 mm. I can sell the battery holder assembly or the customized cable assembly with EI connector.